Want to spice up your AMAZING ABS in APRIL ab workout for the month? 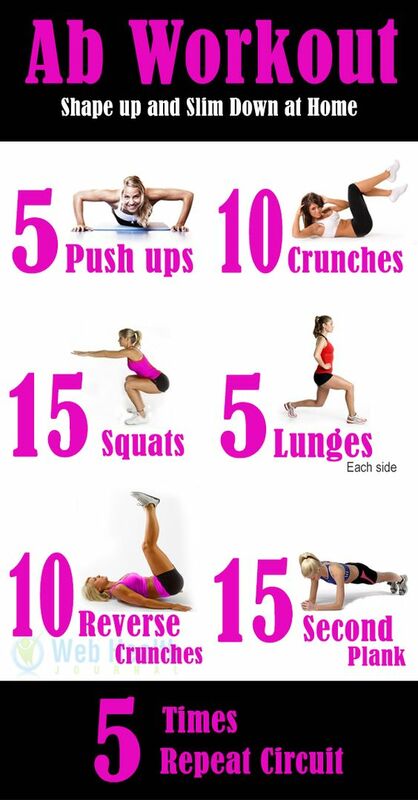 Check out this 6 move circuit! Best diet for abs: For breakfast eat two yogurts and mix in fruit. like strawberries, raspberries, grapes, anything. eat that with green tea. for lunch you could eat a salad with light dressing, an apple, and green tea. and for supper you could have a chicken breast, a salad, any type of vegetable, and green tea. make sure you're drinking enough water throughout the day because that helps get you healthy and also helps you lose weight.